Amazing … all these are my favourites too!!! Amazing list, it is hard to dispute this, they are all favorites! Aarkali will always be No.! Just close your eyes and listen quietly to ‘O Aasmanwale” ,. Can one express the soul’s anguish more feelingly? 2. 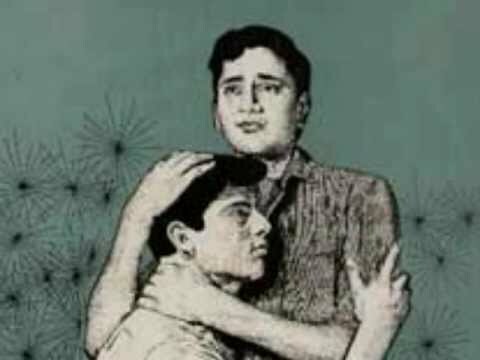 Baiju Bawra and Uran Khatola.. Can a beloved ever wish better than saying ” Hamari dil se na jaana? or more playful than ‘Mera salam leja? If ‘Ye raat ye chandni’ does not pull one’s heart’s strings, one simply has no heart. Wo Dekhen to unki inayat’- In this poem, the lines Ishq dilon ka mael hai pyare and Ishq ki baazi seedi baazi are the sublimest expressions of true love. Hum aap ki ankhon mein – what a great love song it is! Preet ye kaisi and Hum dard ke maron ka- oh what eternal gems! The three duets in Chori Chori are some of the best ever. Even the first song with chorus- Is paar saajan is so sweet. Bol ri kathputhli, manzil wohi hai pyar ka , mini mini chi chi- see what sentiments are expressed! Ik aaye, ik jaaye musafir, dhuniya ek sarayi re..
Do din ki zindagi rang laaye re… ik aaye. My God, what simple, sublime lyrics! Shailendra the great! .Zindagi kwab hai, kwab mein jhoot kya, aur bhala sach hai kya ! Main pagal mera manwa pagal…. I have chosen these because almost all songs in these films are good.ie listenable even today. In the following, only some are outstanding. contains Talat’s gem Main dil hun ek armaan bhara. All time great. My criterion is just the music, not the stars or actors. I don’t watch movies- just listen to music. Plainly, almost all my favourites are B&W.and pre-1960. I believe that colour has destroyed the soul of our film music. Such an under appreciated classic and my all time fave. This album joyous melodies will ring in your ears days after you hear it. First and foremost, I just came across this blog and its just superb. Superlike. Please also post the best 100 songs from Bollywood from 1949 to 1979. That would be really interesting. Mughal-E-Azam’s song list is missing Bade Ghulam Ali Khan’s splendid Shubh Din Aayo. It did not disappoint in any way. You can almost tell they are both trying to out do one another in those big numbers. with us the listners ofcourse are the winners. However for me Rafi is the real artist here, he serves up a masterclass in singing, and impossibly puts Lata second. – Meera (directed by Gulzar) — Vani Jairam sings Ravi Shankar’s compositions of Meera bhajans — for once it’s not Lata! – Kinara (RD Burman) — very underrated IMO. Anmol Ghadi (1946) with twelve songs out of which more than half were super hit. Rattan (1944) was a great musical hit too. Both share the same musical director, Naushad. I’ll take any of his films over ‘Bobby’. Anpadh, Woh Kaun Thi, Dekh Kabira Roya, Adalat etc etc.